A Ford Motor Company spokesperson told Autocar last month that the automaker will be skipping the Geneva Motor Show in March because it won’t line up with key product launches — including, it’s suggested, the next-generation Ford Focus ST.
Ford also confirmed that it would instead put on its own Go Further event in Europe next year that will serve as the debut for a new vehicle. Whether this would be the new Ford Focus ST remains to be seen, but Ford could just as easily hold its latest performance hatch off for a world premiere at the 2019 Goodwood Festival of Speed. Ford’s spokesperson told Autocar that the company sees the FoS as being “a more worthwhile event” when it comes to media and public exposure. 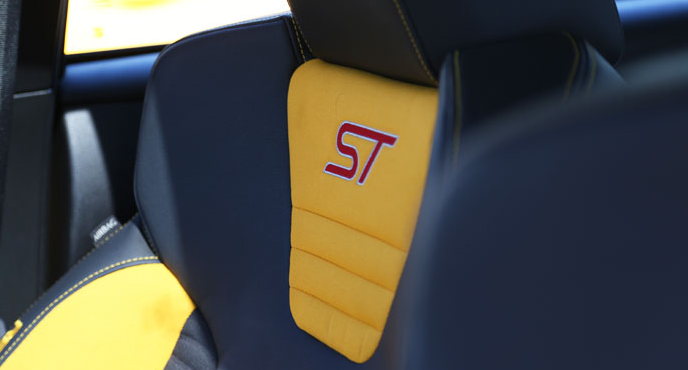 Ford also debuted an updated Focus ST at the 2014 FoS, so there’s precedent. If you’re an enthusiast in America, does any of it even really matter? Ford will not be bringing the Focus ST to the United States, and so its eventual reveal would only serve as yet another dagger in our hearts.